Travel writer and Croatia resident Shann Fountain Culo shares her love of the locale from the wooden village houses, folk festivals, and wineries of Croatia to the rafting, skiing, and cave-exploring opportunities that abound in Slovenia. Shann includes unique itineraries such as the 14-Day Best of Croatia and Slovenia, A Culinary Tour of Istria and Dalmatia, and Sailing the Croatian Islands. 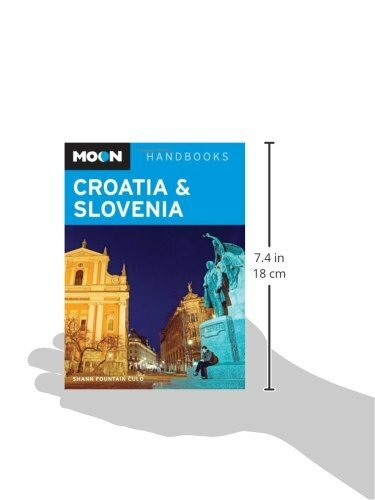 Moon Croatia and Slovenia is packed with information on the best dining, transportation, and accommodations. Complete with expert advice on when to explore the city sans tourists, participate in the grape harvest season or ski in the Julian Alps, Moon Croatia and Slovenia gives travelers the tools they need to create a more personal and memorable experience.